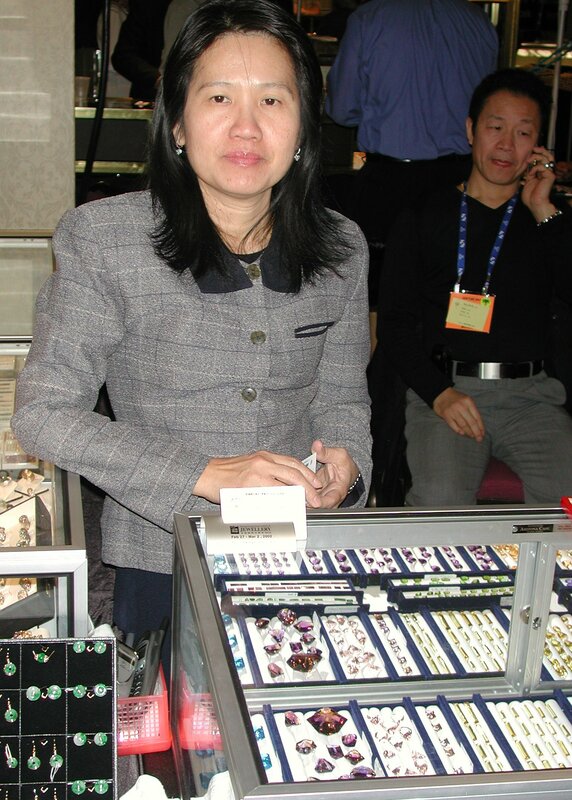 Even though most exhibitors return year after year, there will always be someone new or someone missing from the show(s). 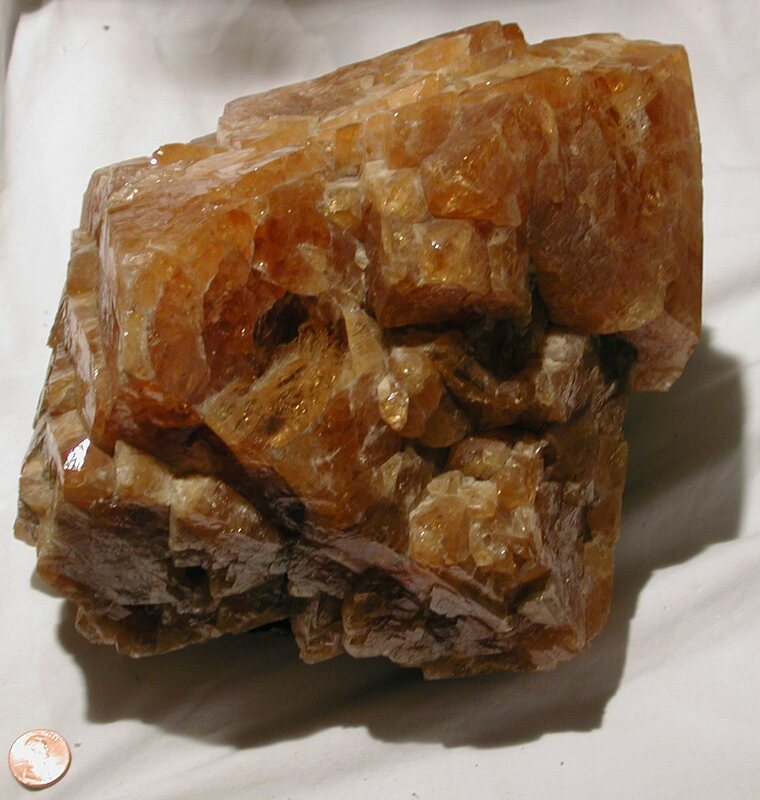 Even though one sees pretty much the same material year after year, there is always something special and different or certain specimens will be bigger or better. There are always bargains and opportunities found when a dillegent search is made. 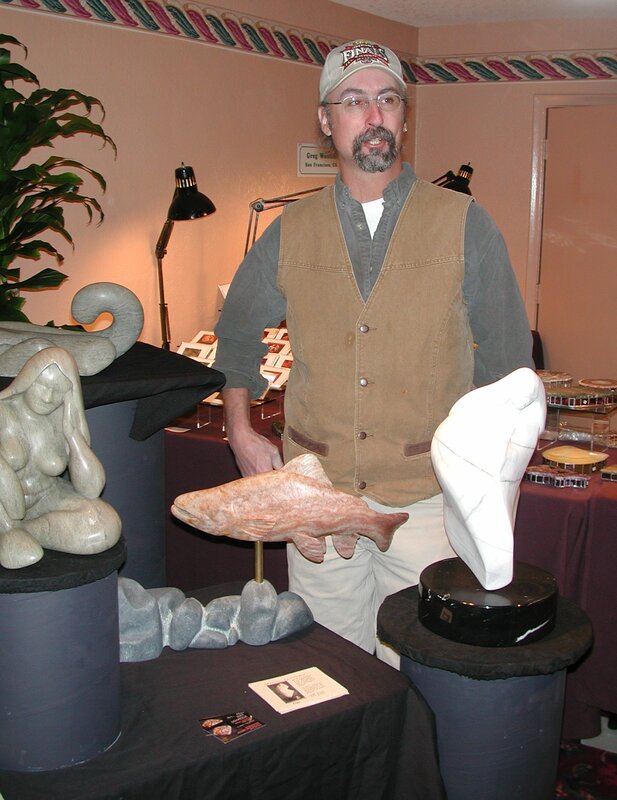 Many fine specimens can be found at the show. 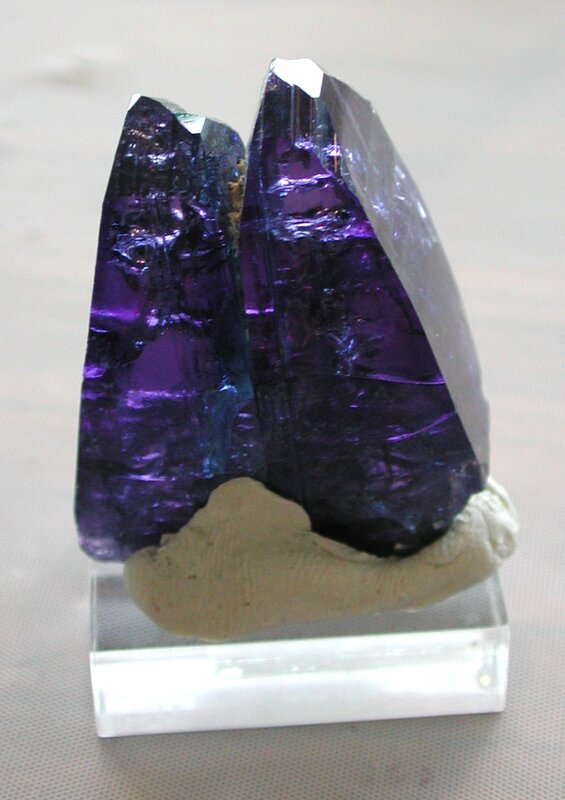 This purple-blue Zolite is from Tanzania, Africa. 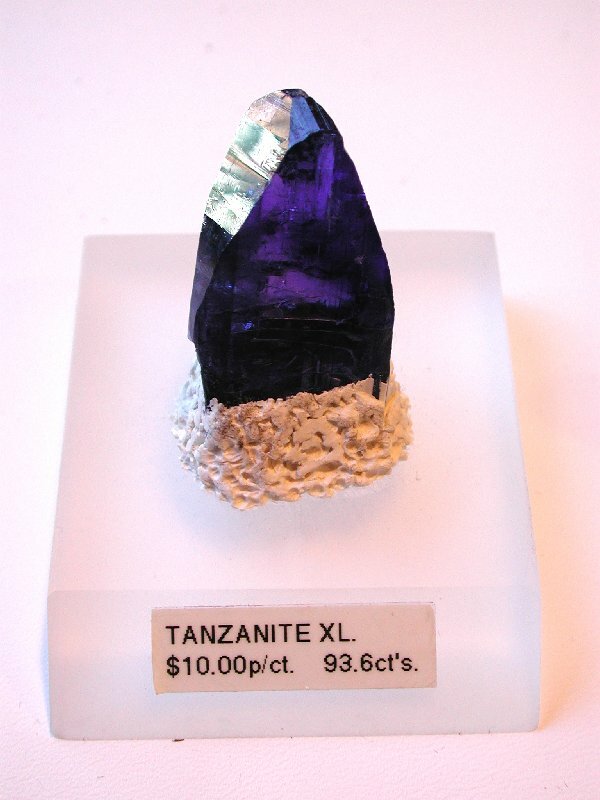 Most tanzanite mined today is of a brown color and is heat treated to the blue color. 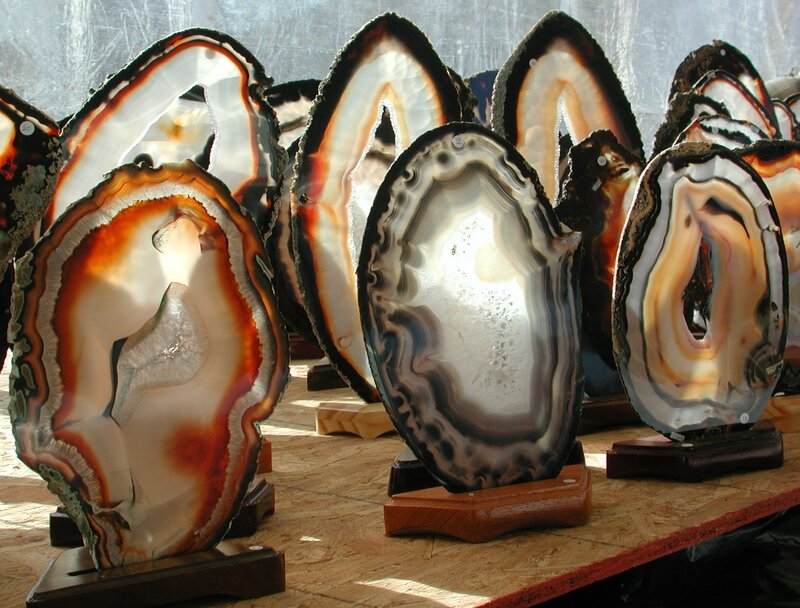 The stones are heated to temperatures usually ranging from 752ºF (400ºC) to 932ºF (500ºC). 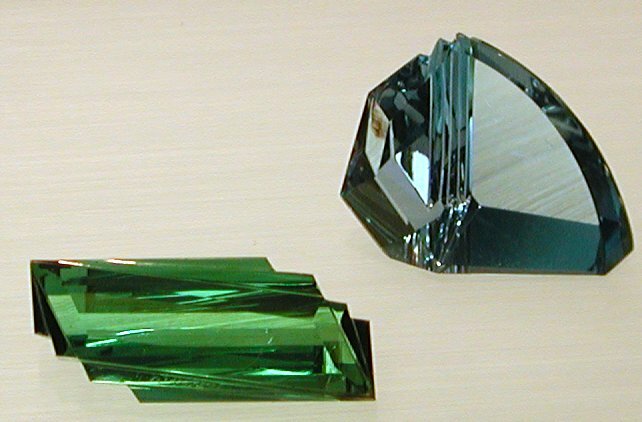 John Dyer, who is now 24 years of age, became interested with gems when he was only 16 years of age and started faceting gems at the age of 17. 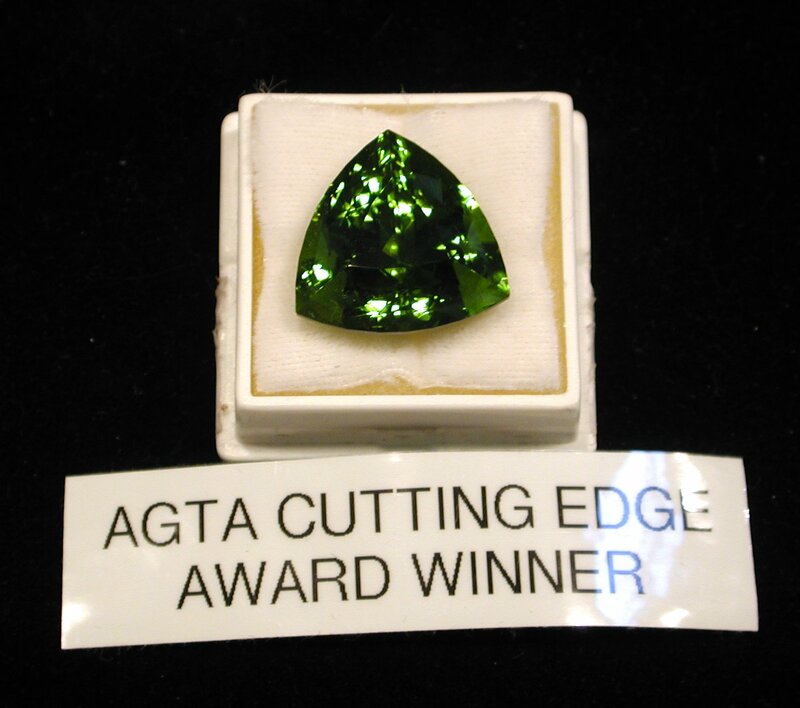 Last year he won first place in AGTA's Cutting Edge "Flat Faceting" competitiion. This year he received a third place in the same category. What an accomplishment for such a young man. 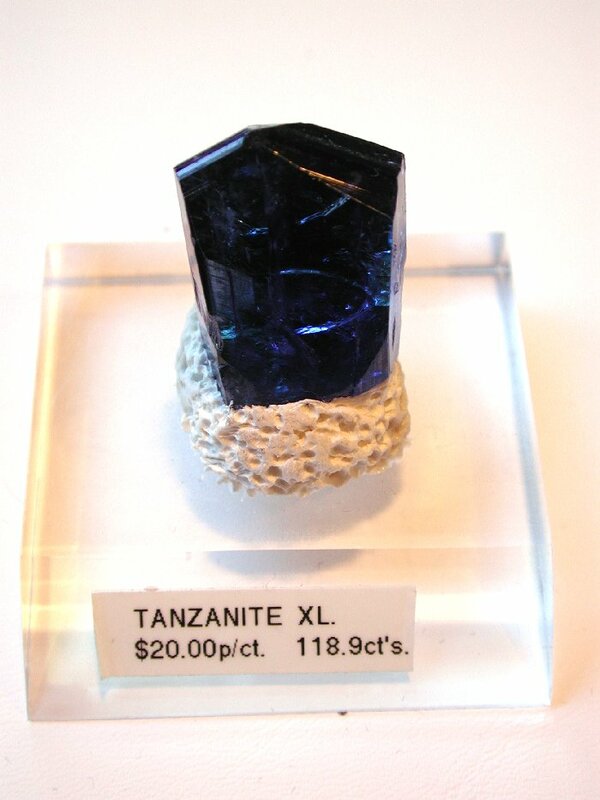 John says "I love beautiful things; gemstones, and tropical fish." 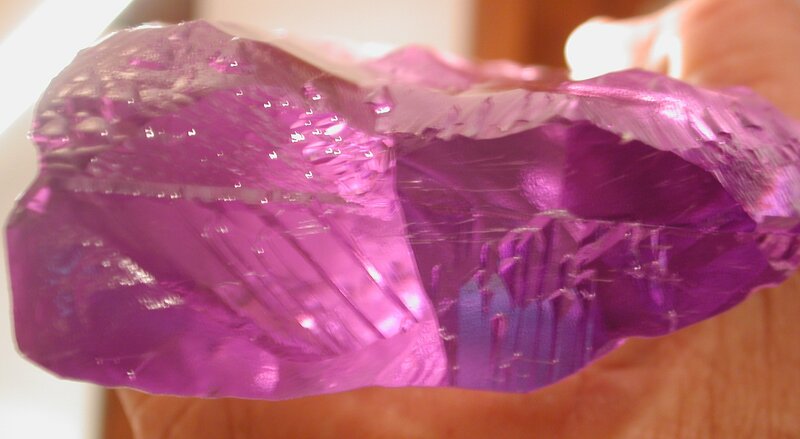 He went on to say "Love cutting special type of material even if it takes a little longer and has more facets." 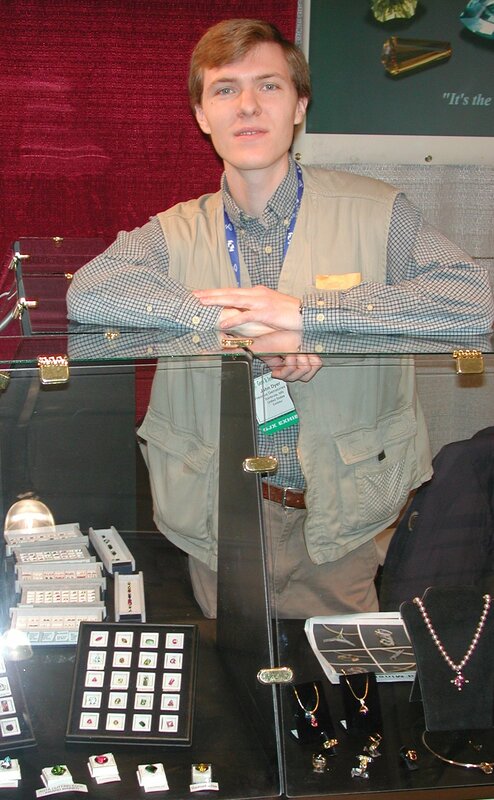 John cuts about 150 to 200 stones per year on the average. 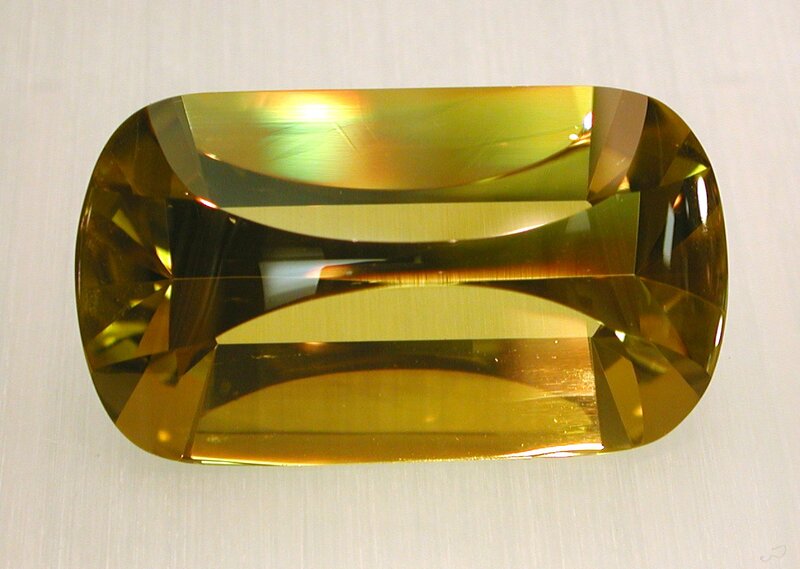 The smallest gem he has faceted on his "UltraTech" faceting machine was only 2 mm in size. 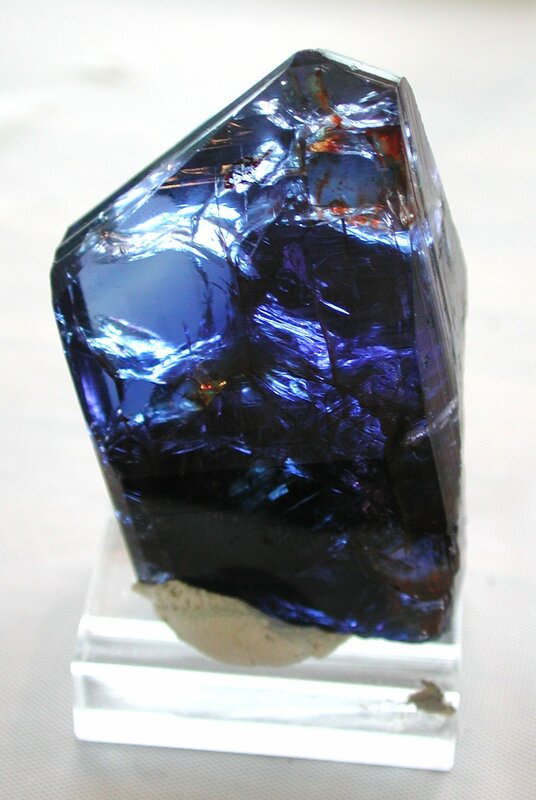 His largest was 126 carats. His favorite shape is the trillion cut because he finds this type of cut to be exceptionally brilliant. 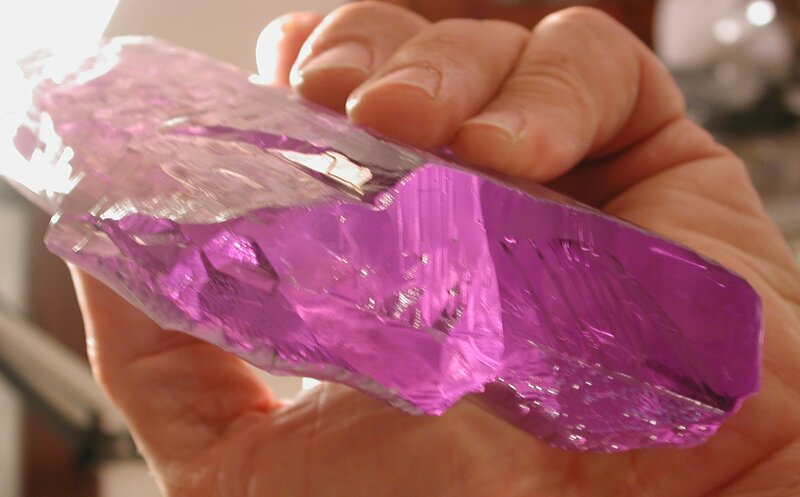 John's worst unforgetable experience happened when he was faceting a larger red beryl. 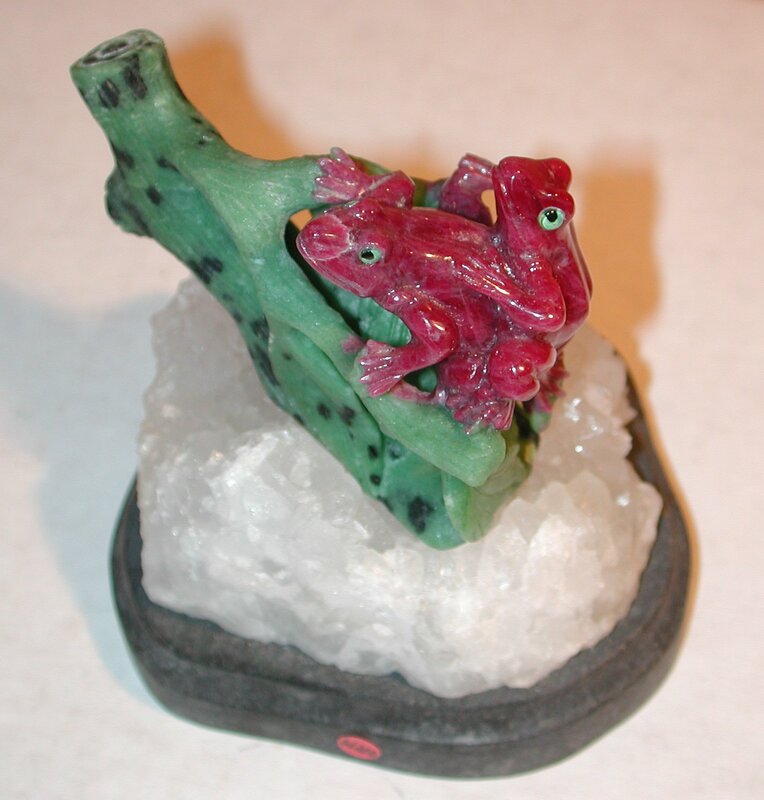 Keep in mind that this particular red beryl was unusually large and cost him $2,000.00 in the rough. 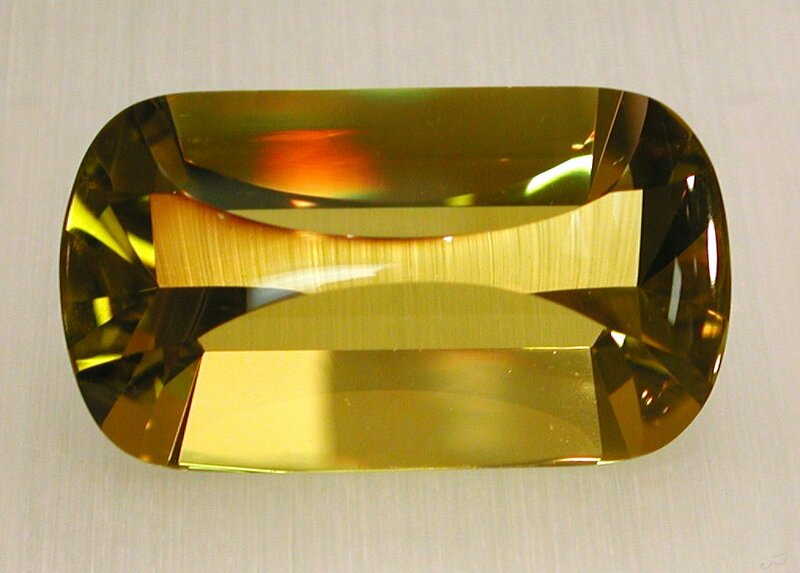 While in the final stages of faceting the stone, it split into three pieces. Just think of the amount of material that was ground away trying to cut the larger stone. 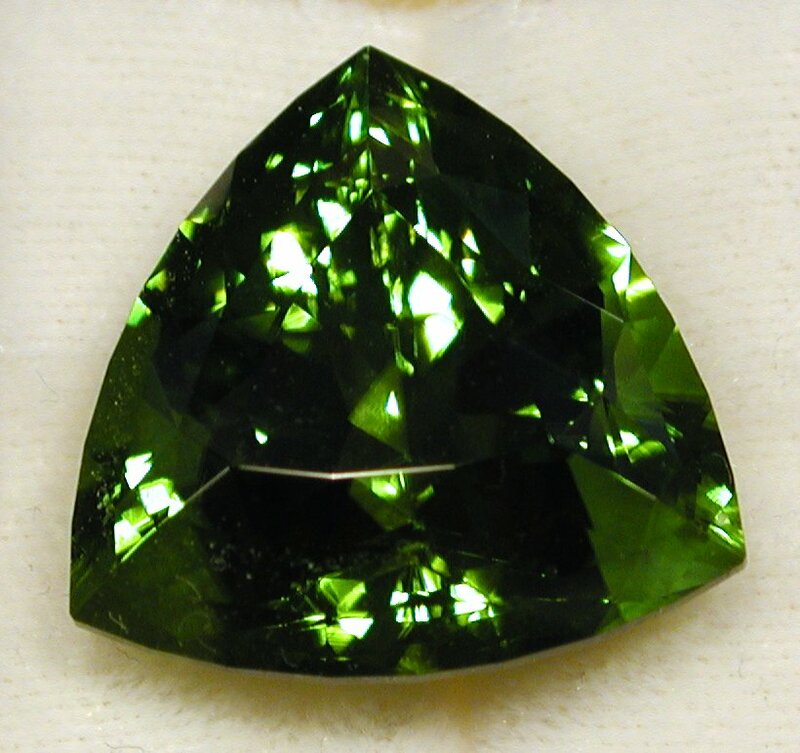 He was counting on maintaining the large size stone because such a large faceted stone would have brought a premium for its rarity. 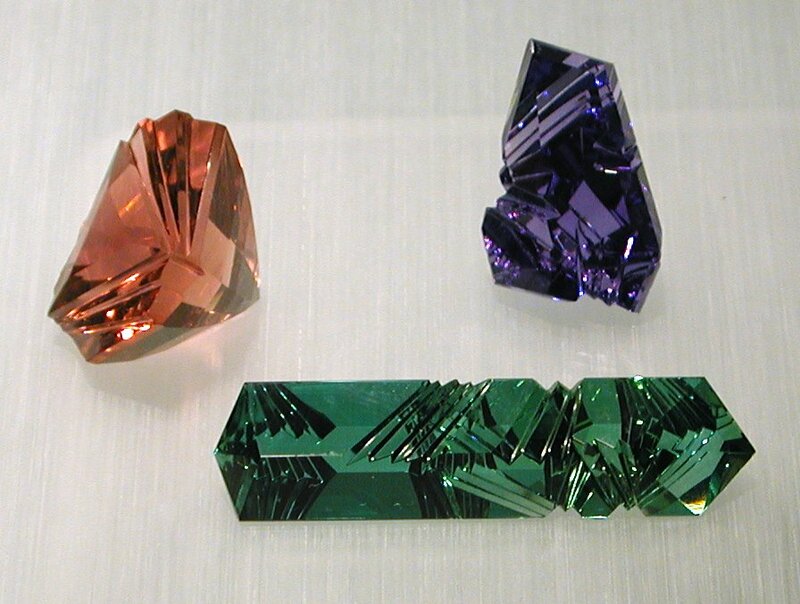 Now it is three smaller stones of much less size rarity. 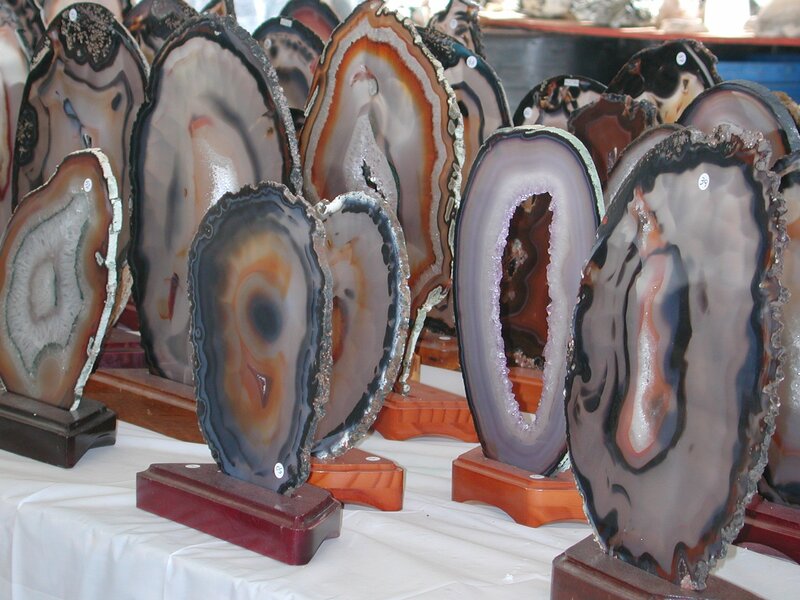 Over the years one can find a lot of slices of nodules and geodes that range in sizes from 2" to 7". But, rarely would one find them 12" to 18" in size. Above are photos of some that are in the 12" to 18" size range. 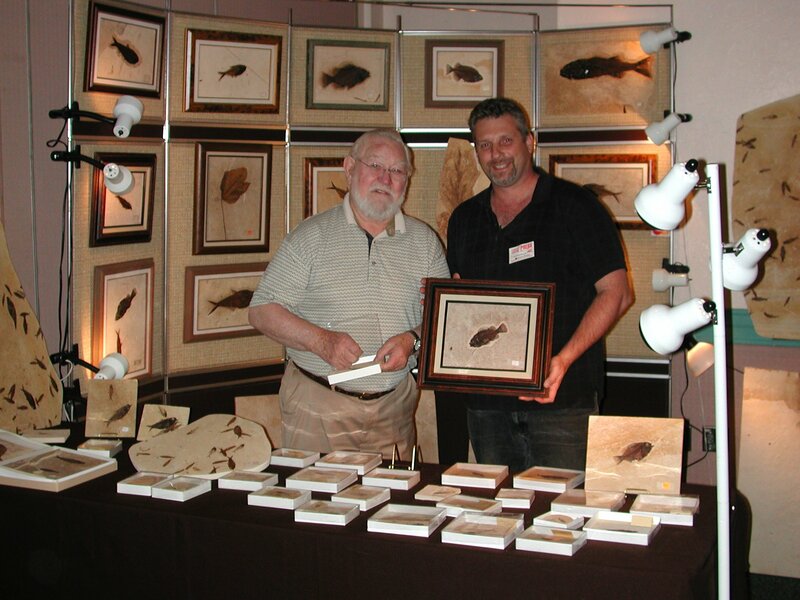 Wayne McGee (on the right) of London, England, is about to purchase a fossil fish from Carl Ulrich (on the left). 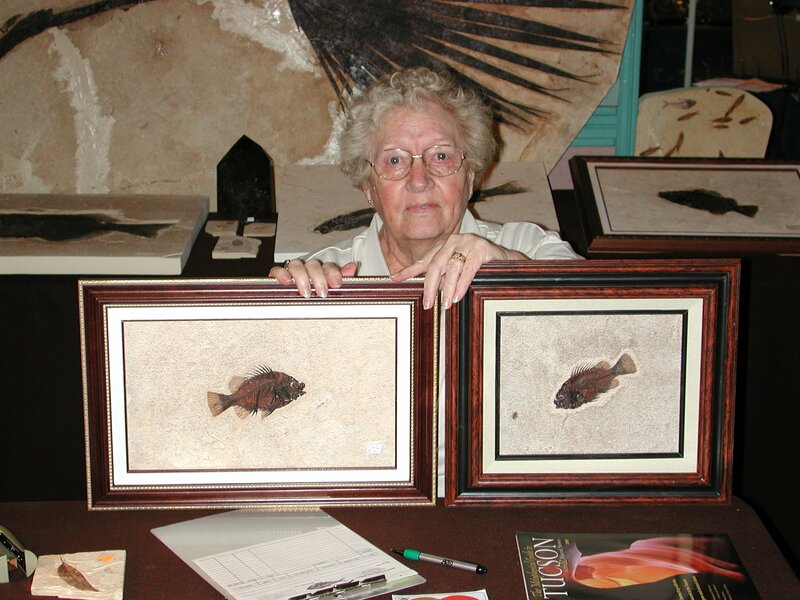 Carl, who lives in Kemmerer, Wyoming, has been digging for these fossils and preparing them since 1947. 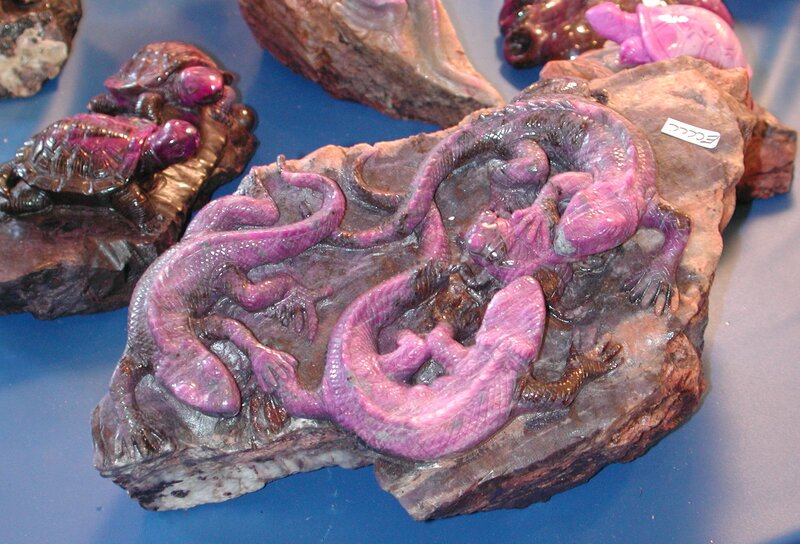 It all starterd when he started tinkering around the Green River Basin area, found a fossil, prepared it and then sold it. Carl stated "I strive for quality, not quantity." Carl's wife, Shirley, is the one who puts the frames on. The lizard rock in the left photo is about 20" long. 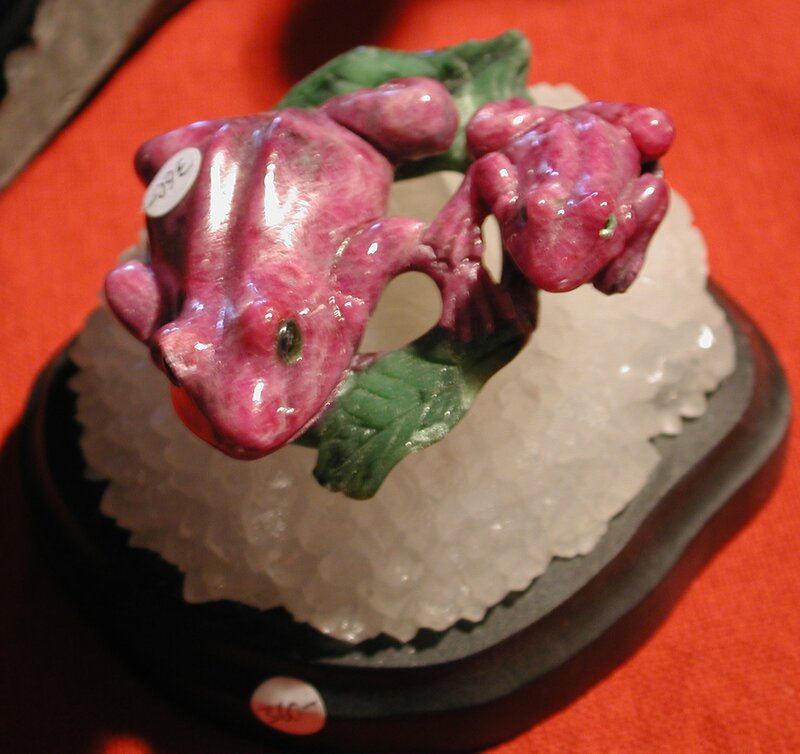 The frog pices is about 6" across. 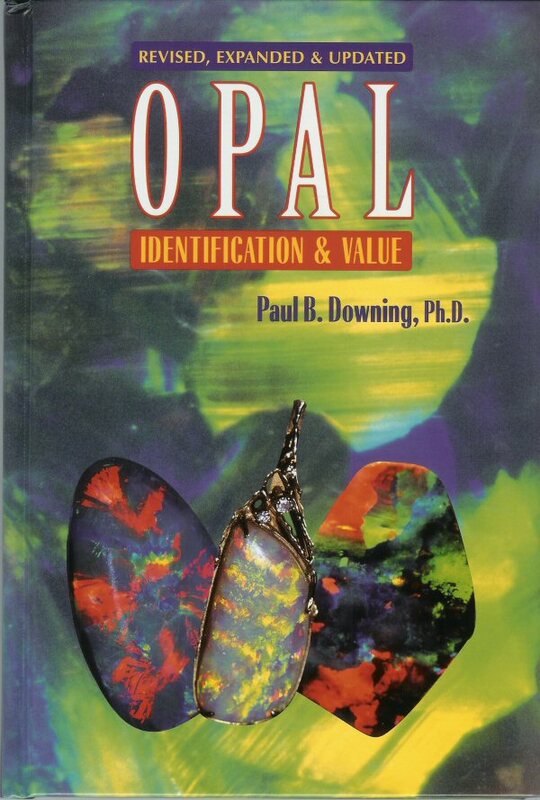 Paul Downing (on the left) just released a new book titled OPAL IDENTIFICATION & VALUE published in 2003. This new book is a revised, expanded, & updated version of his original book by the same title published in 1992. 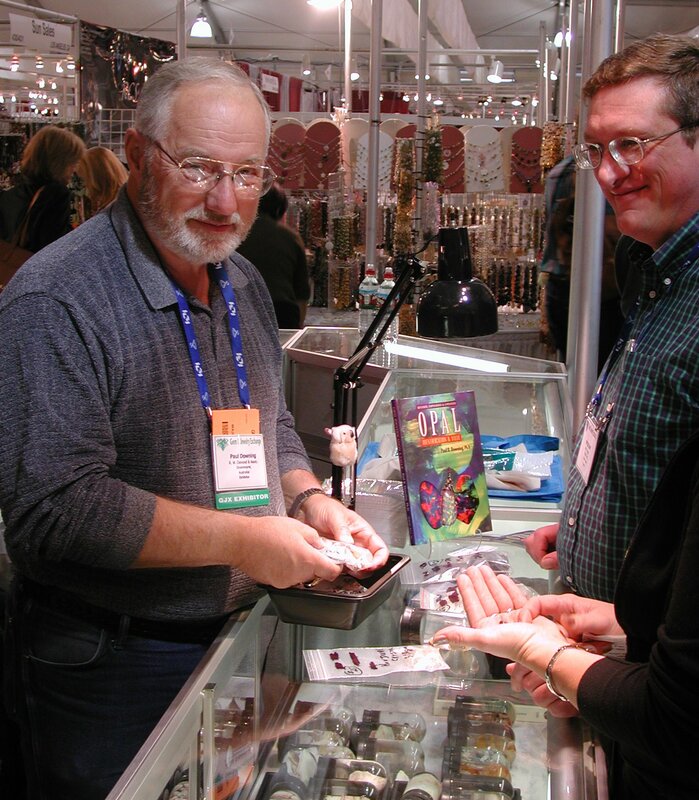 Paul is a renowned self-proclaimed "opalholic." 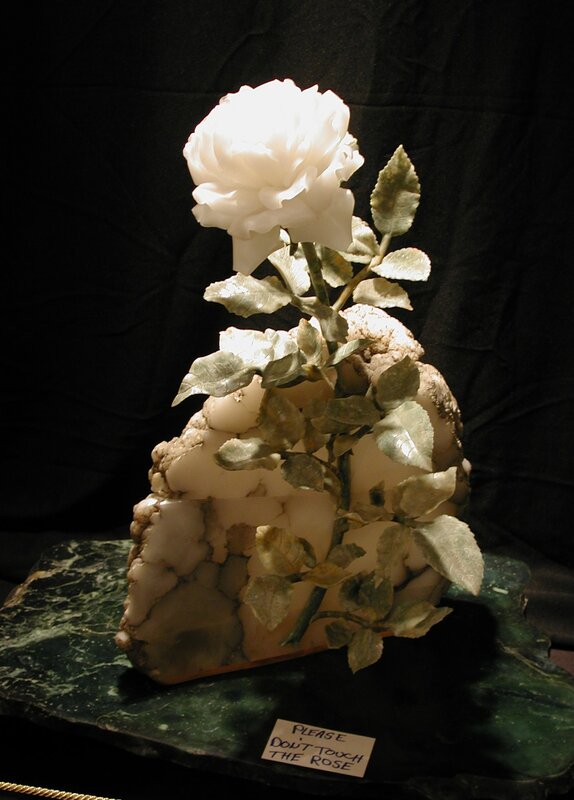 He has also written three other books titled Opal Cutting Made Easy, Opal Advanced Cutting and Setting, and Opal Adventures. 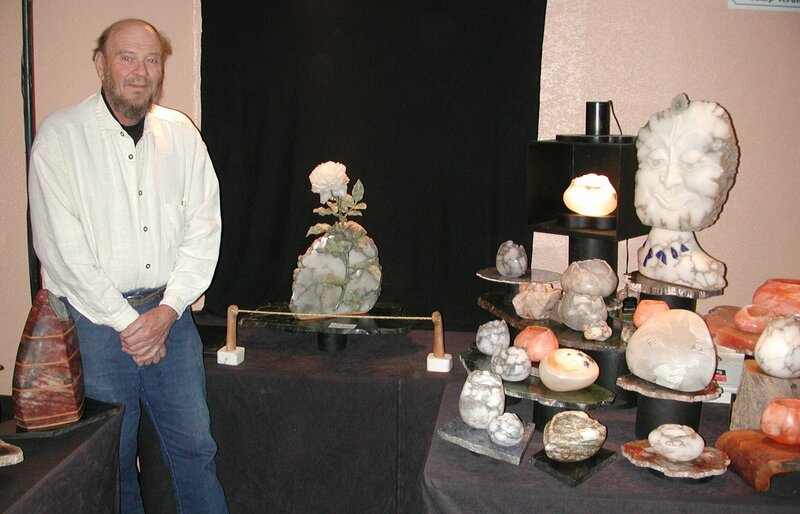 In 1999, he was inducted into the National Rockhound and Lapidary Hall of Fame. 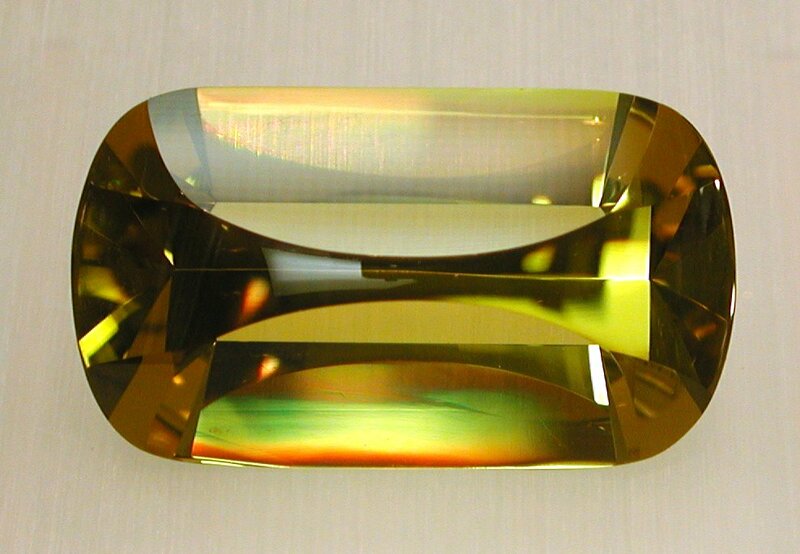 He is also a winner of three AGTA Cutting Edge Awards for opal. They now teach carving in after school or summer programs. 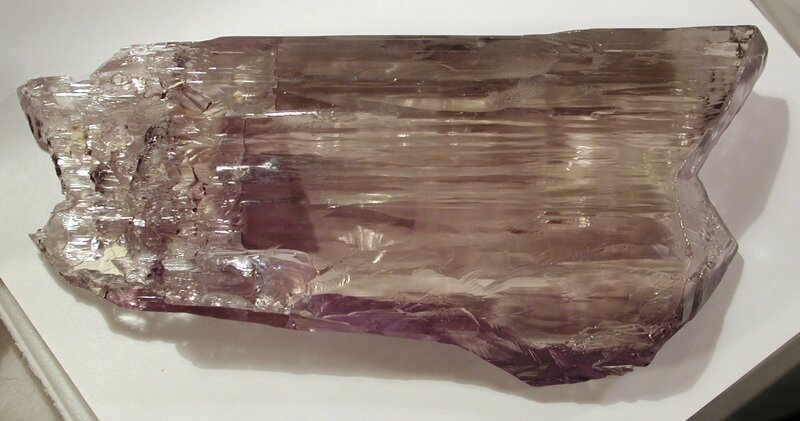 Years ago, I remember rooms full of Kunzite coming from Afghanistan or Pakistan, but nowdays, one can hardly find a large superb piece with good color. 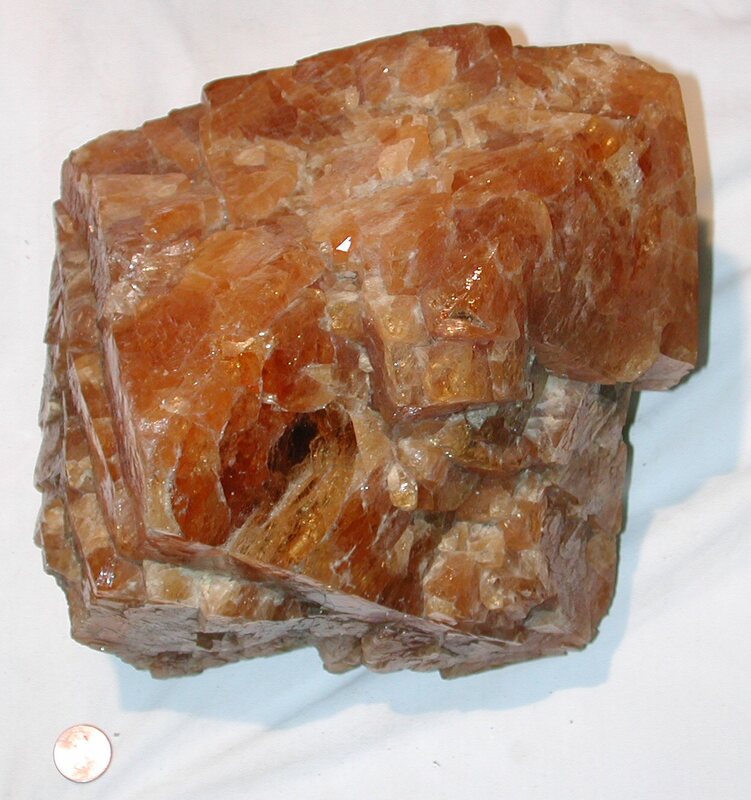 However, this year We did find a nice piece of rough from Brazil. 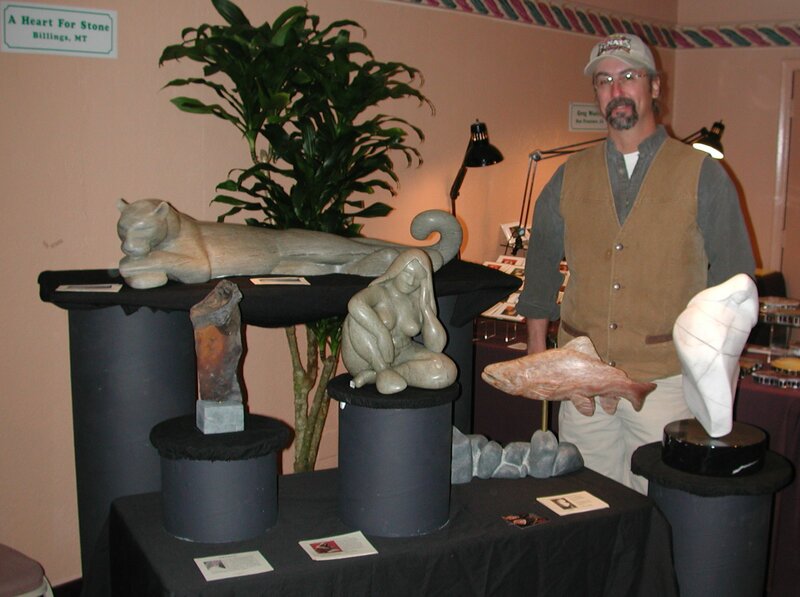 Jeff Schaezle has some nice artistic cavings and carvings that reflect realism.